OXFORD, Miss. – National Signing Day is here! 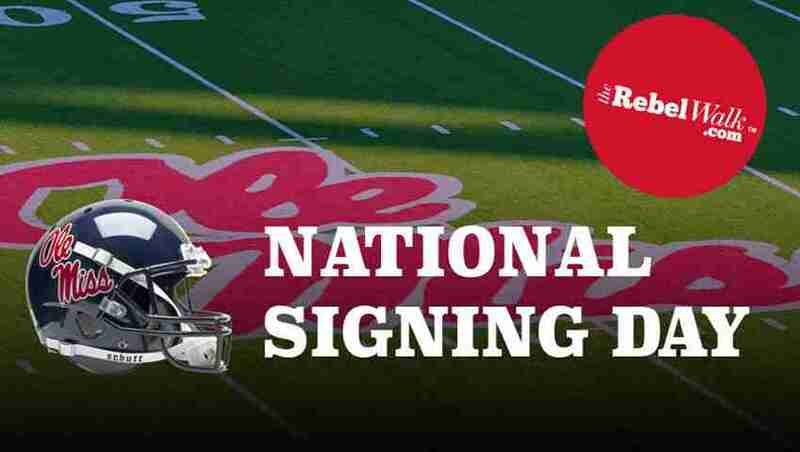 Here are the Rebels who have signed on the dotted line and will join head coach Matt Luke and staff at Ole Miss. 7:36 a.m. – WR Miles Battle has signed with the Rebels. 11:35 a.m. – ATH Tylan Knight has signed with the Rebels. 12:27 p.m. – DT Noah Jefferson has signed with the Rebels. Update: Parker sticks with commit to Arkansas. Update: Bush signs with Georgia. The crown jewel of the class—and the guy who got the ball rolling for this class. Corral has an absolute cannon of an arm and was compared to Brett Favre at the Elite 11 Camp this summer, which is a camp for the top QB’s in the nation. Corral won the long toss competition, throwing the ball 77 yards without even taking a running start like most of the guys do. He’s also very athletic and could be used in the run game as well. Outstanding pocket presence. He will be a mid-year enrollee. Moore was a huge signing day flip from the Georgia Bulldogs for wide receiver coach Jacob Peeler. Ole Miss seemed to be the frontrunner for him early in his recruitment, but he backed off and chose Georgia when Hugh Freeze left the program. Moore brings an added dimension to the already-talented NWO that just hasn’t been there the last several years. He brings elite speed at the slot position and will likely receive early playing time due to the losses of Van Jefferson and Tre’ Nixon at the slot. Williams was the other massive signing day flip and was a surprise to most, as he chose to sign with Ole Miss over Mississippi State, where he was previously committed. Williams is a very versatile defensive lineman who can play all along the defensive front. Williams also had offers from Alabama, Georgia, Louisville, LSU, and Tennessee. Woullard committed in the 2017 class but was asked to gray shirt to help with scholarship numbers last year. He is one of the best rushers in Mississippi history and will certainly help with competition at a position that is up in the air with the graduation of Jordan Wilkins and the injury to D’Vaughn Pennamon. He will be a mid-year enrollee. Gregory committed early over South Carolina, Arkansas, Florida, Tennessee, Louisville, and West Virginia. He has been a big advocate for Ole Miss to others in his class and seems to be an early fan favorite. He will remind fans of Demore’ea Stringfellow with his hair and playing style. He will be a mid-year enrollee. Cunningham chose Ole Miss over Alabama and will start out at defensive tackle. Matt Luke said in his NSD press conference that he’ll start there but could end up at offensive guard and that he’s an NFL prospect at Guard. Phillips is an absolute stud whom the staff identified and gained a commitment from early. If not for the early commitment, Phillips likely would have been a household name and had plenty more offers, but he maintained his strong commitment to the Rebels. The staff seems to think he could be a starter next year at running back. He certainly has the talent to be in the thick of a position battle with Eric Swinney, D.K. Buford, Isaiah Woullard, and possibly Charles Strong, should he decide to play for the Rebs. He will be a mid-year enrollee. 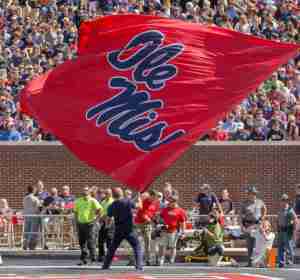 Jones, who is related to Ole Miss defensive line coach Freddie Roach, has been solid to the Rebels since verbally committing to Ole Miss. He ultimately chose Ole Miss over, Mississippi State, LSU, Tennessee, Georgia Tech, Michigan, and West Virginia. White played running back all season for 6A powerhouse Madison Central, but in previous seasons played in the secondary so defensive back isn’t all that new to him. When watching him live, it was easy to see he wasn’t afraid to run over people and was able to pull away once in open space. That will serve him well as a ball-hawking safety in Oxford. Northern, originally from Tunica Rosa Fort, was downright dominate in the JUCO ranks, earning 1st team All-American honors this season. He looks like an instant impact guy to play on the interior defensive line for the Rebels. He will be a mid-year enrollee. Dasher was a signing day commitment who chose the Rebels over Kansas State. He instantly brings quality to a major position of need. He was another 1st team All-American selection in JUCO and has the size and speed a team needs at linebacker in the SEC. He is originally from Georgia and will be a mid-year enrollee. Bivens hails from Wayne County, a place that has churned out Rebels such as Jerrell Powe and Benito Jones in the last few years. Bivens has the talent to be as good as those two if he can add a little more muscle. In the MS/AL practices and game, he blew by guys with his speed. Once he gets into the weight program, watch out. Hill chose Ole Miss over offers from Auburn, Georgia Tech, Kentucky, Vanderbilt, and Virginia Tech. He comes in at a position of need for this class and can help bolster the Landshark defense. Smith is a huge commit at a position at which it can be hard hard to land top guys. He is listed as a 3-star, but his offer sheet screams 4-star all day long. He chose the Rebels over offers from Baylor, Duke, Oklahoma, Louisville, LSU, Mississippi State, North Carolina, South Carolina, Tennessee, Vanderbilt, Michigan, and Wisconsin. His length and speed is something Ole Miss just hasn’t had at this position in a while. Interestingly, Michigan head coach Jim Harbaugh tried to call Smith and get him to hold off on his commitment on signing day, but Smith chose to stick with the Rebels instead. Hess brings size at a crucial position that Ole Miss hasn’t had in many years. He is athletic enough to play linebacker, and that is where he was recruited, but he has the frame to possibly grow into a defensive end, should the staff decide that’s his best spot in the future. He chose Ole Miss over offers from LA Tech, Memphis, Missouri, and Vanderbilt.